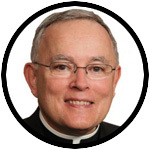 Thank you and God Bless You Archbishop Chaput!! Our Lady of Knock, pray for Ireland! Our Lady of Guadalupe, pray for an end to abortion! Sacred Heart of Jesus, have Mercy on Ireland and on the whole world! Amen. Praying that amendment 8 will not be repealed. But we have a primary election in 5 days and nothing being said about getting Catholics out to vote. Primaries include governor, us senate, Congress, state Senate, State Rep, and many local offices. It is urgent for pro-life Catholics to get out and vote – and be educated about the candidates. Nearly nothing is being reported. I was raised by my Irish grandparents. They were both immigrants from Ireland. They raised 7 children in South Phila. All seven went to Saint Monica school. I will tell Our Blessed Mother about this tomorrow.